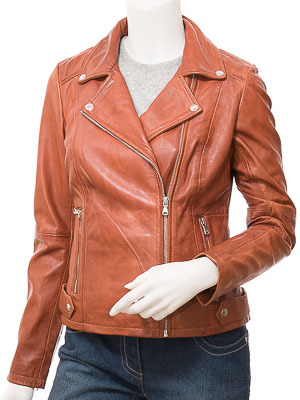 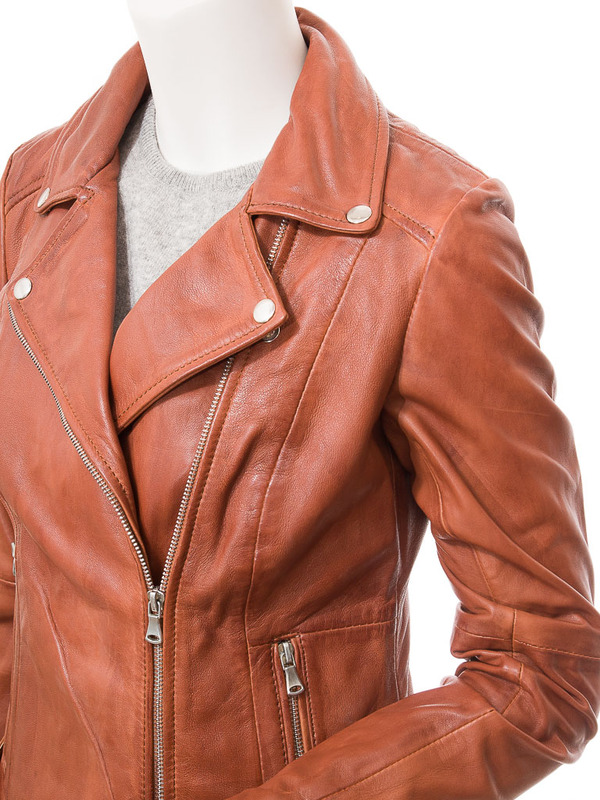 A stunning tan leather biker jacket. Made from a gorgeous soft and supple sheep nappa leather, this jacket is designed in the style of the classic double breasted jacket of the 1950's. 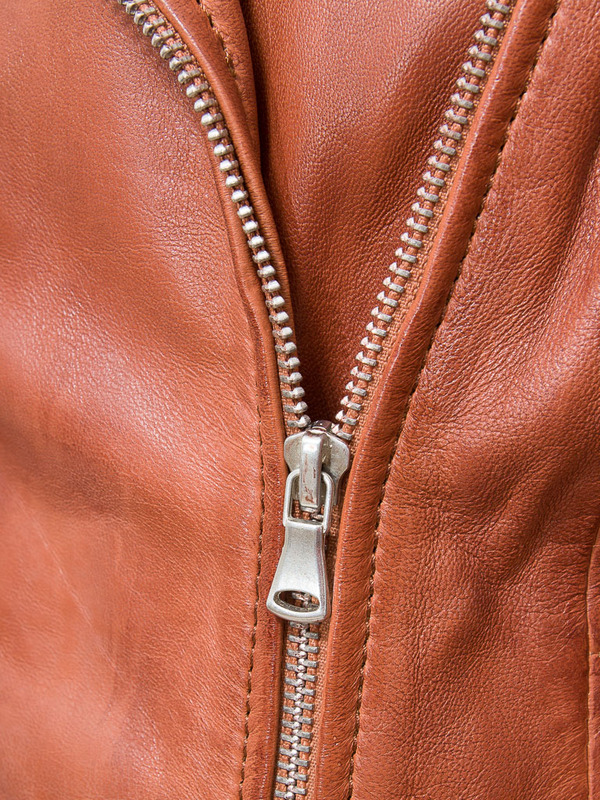 An angled YKK zip extends up to wide lapel collar whose lapels are held in place with press studs. 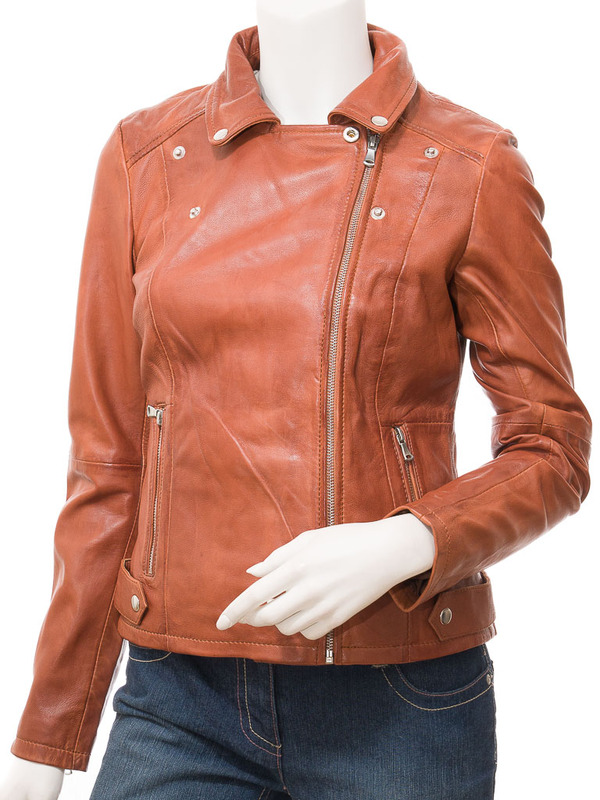 There are two zipped pockets at the waist, zip gauntlet cuffs and strap waist adjusters at the side seams. 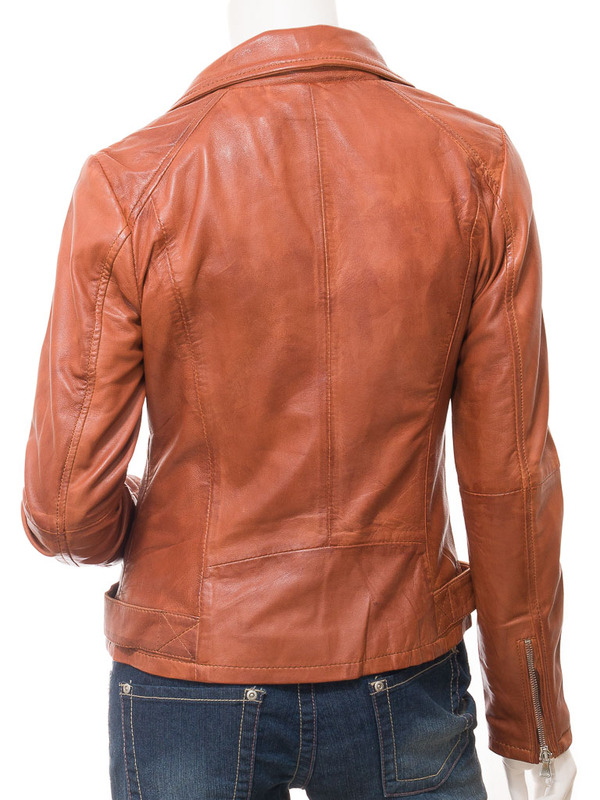 As you would expect on a jacket of this calibre, the interior is fully satin lined.